The new year is in full gear, and so is the development progress with the Payger Platform. We have very exciting news, starting with our most significant announcement: Payger and Net Element, a technology-driven payment service provider, specialized on mobile payments and value-added transactional services, have partnered up to give you payments with cryptocurrencies at the point of sale! 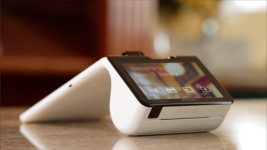 By integrating Payger’s Wholesale API into Net Element’s Netevia Payment Gateway, over 17,000 retailers around the world using Net Element’s Netevia mPOS Poynt and PAX terminals will be able to accept crypto payments from their customers. All while giving them real-time exchange rates and multiple cryptocurrencies, even stablecoins like Circle USD, to spend at the point of sale. This way, Payger provides cryptocurrency payment not only for payment service providers but also to online merchants and merchant banks. Many merchants use cryptocurrencies like Bitcoin as an effective means to enlarge their customer base already. Payger enables crypto payments to speed up processing times while reducing transaction costs, which makes it cheaper than traditional credit card payments and reduces chargebacks. As a result, Payger helps their partners to reduce payment fraud risks while increasing consumer privacy and data security. 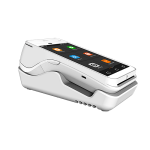 The mPOS models Poynt, Poynt 5 and PAX a920 are now available for ordering in the US and Europe. 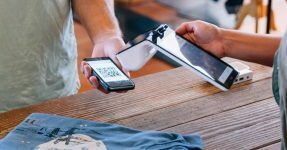 Interested merchants can now upgrade their checkout experience and get paid in cash, credit and debit cards and cryptocurrencies. Through the strategic partnership with Net Element, Payger will enable over 17,000 merchants to accept cryptocurrencies for payments. For the next months, we plan the full support of Ethereum and ERC20 tokens, including stablecoins USDC, USDG, TUSD, EURS, LTC, STEEM, and BitShares assets at the point of sale and for online payments. Today we are also proud to announce our plans for the Payger Express Checkout Button for crypto, as known by PayPal or ApplePay will be implemented soon into Payger. Every online shopper will be able to pay with their favorite cryptocurrencies either scanning a QR-Code or by topping up their funds into the Payger Wallet and then easily pay via the Payger Express Checkout Button. The significant benefits are that users no longer need to type in their shipping address or payment details at the online store and can easily check out with their personal shopping profile on any site. Merchants benefit from a higher conversion rate and a faster checkout process because shipping address and payment details are being handled in the background, safe and secure by Payger. This is a huge advantage not only for customers but also for online merchants. This way, by implementing the Payger express checkout button, merchants can increase their conversion rate and provide a more comfortable and secure method to pay with cryptocurrencies, reaching new potential customers. More updates on express checkout buttons will be published on our Linkedin channels and on our company blog. In summary, January has been another busy month for the Payger team, and we are looking forward to your feedback, change requests and your first experience with the Payger Wallet. Write us a mail, join us at Telegram or visit us in Munich. We are looking forward to keeping in touch with you.